Or download it directly from my Google Drive. The archive contains drivers for Mac, Linux and Windows platforms. I hope this will help somebody. Run the command in Terminal: sudo nvram boot-args="kext-dev-mode=1"
Does your dccduino board work well? Have you had problems with it in your project? No, I don't have any problems. It works like a charm. I use it to duplicate the infrared signal of my air-conditioned system. I'll buy one two. I've many prject in my mind. Merci Alexandre! Finding the mac driver was a major pain!!! First time ever for me where the dreaded Windows machine worked immediately and the Mac didn't!!!! THANK YOU! I LOVE YOU! Hi, did you upgrade to Yosemite? I can't get the board working on it! please a have a question when i pass my hand on the DCcduino the LED " L " lighting up. Did anyone have any luck getting this to work with Yosemite? I can't seem to get it to work. Thanks! I was wondering why the DCcduino wasn't working and the Arduino was! Hi, I'd like to know what is the ISP reference of this programmer when modding the makefile.mk of a firmware i need to flash. By default, it is set to PROGRAMMER = avrispmkII, i can't find any clue on the manufacturer website. Yea! It works on Yosemite now! Thank you for your help. I guess i just needed to run the terminal command to get around the issue. Thanks a lot, I searched for hours before finding your post. It solved my problem. You solved my problem too! With DCCduino Nano V.3 with CH340G chip! 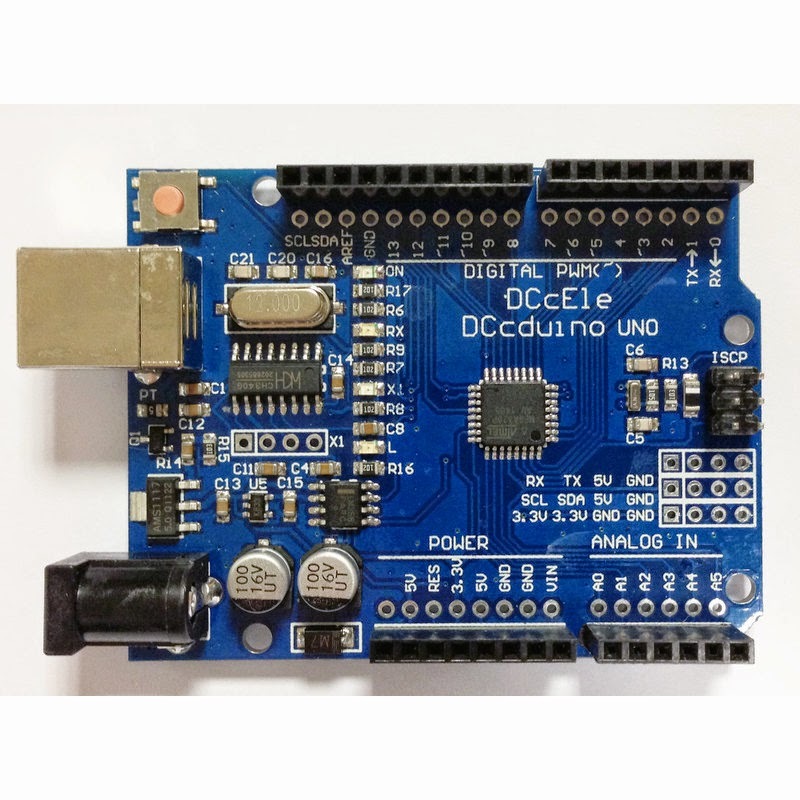 Hai risolto anche il mio problema con DCCduino Nano V.3 con chip CH340G! Thank you very much. You solve my problem with MJ duino Uno. Thanks for the information to properly install it on Yosemite. Seems to work nicely for me now. Been searching a lot to get my Chinese Nano clone with CH340, and you saved my day! Thank you for your support! The USB driver work fine! The downloaded file says it has virus in it. I am still stuck. Have installed the driver and ran the sudo code. Currently on os x 10.7.5 and when I launch the arduino IDE, dev.tty.usbserial just doesn't show up.. what can I do? Got an arduino compatible nano from ?? Installed the driver, on yosemite and now works. Thanks, this post really helped me. Thanks A LOT !!!!! I wish the world had a billion people like you. NICE !! Thanks a lot! Your article saved my day! Have you found other issue using the original Arduino programmer software? I Solved my connection problem with a downgrade. I Installed the Arduino 1.0.6. and my board started to communicate. You have solved my problem..
Got the driver up and running to show the serial port but when I try to upload the blink sketch it transmits but the LED only blinks rapidly a few times and then stops. Has anyone else had this problem? Thank you so much. You saved me so much GRIEF . Thanks for posting this driver !!! The driver works very nicely. But the longer I work a standard driver for Arduino UNO. You do not know how to fix this? Thanks so much, exactly what I needed to get my dirt cheap clone to work! ioctl("TIOCMGET"): Inappropriate ioctl for device"
error message... what to do?? See this thread, and look at the fix regarding editing two files inside the Arduino.app package. Been looking around for ages to get my nano clone working without any success ... but now! Huzzah! Thanks a lot, your blog post helped me twice before and after Yosemite update!!! Thanks!!! This did the trick for me!! Works even better then the original Arduino Nano now. Hola amigo este es el cable que me están dando problemas. Con otro modelo de cable si puedo programar picaxe. En la versión 6 de picaxe trae una herramienta para verificar el cable la primera prueba si la pasa la de envió de datos pero la de voltaje no me genera voltaje. El procedimiento es normal instalo el controlador y al parecer todo normal pero al final no puedo programar nada. Modelo de cable lo reconoce como CH340 con una versión de driver del 2011, aunque ya intente con una versión de driver de 2014 y hace lo mismo. Yo tengo instalado Windows 8. Pero ya intente en 7 y en XP y sucede exactamente lo mismo. No lo puedo usar. Este es el entorno de picaxe version 6. Me reconoce perfectamente el cable, al utilizar la herramienta para probar el cable. Sucede lo siguiente. Sigo las instrucciones y me pide hacer un pequeño puente para verificar el TX RX de datos y funciona perfectamente. Se alcanza a mirar que el TX y RX funciona perfecto. Luego viene la prueba de voltaje y aquí es donde no sé por qué razón no me genera voltaje debería de reflejar 5 volts, y no lo hace. Por lo tanto a la hora de querer programar algún picaxe me dice que no hay comunicación. Ya intente con otras versiones de software de picaxe , con diferentes sistemas operativos y simplemente hace lo mismo. when you tried to install the drivers for CH340G chip,on Mac. which includes a new driver that supports the CH340G chip on Yosemite and all OSX for Mac. all you have to do is to download and install them. You can also drop me a line if you want at support@codebender.cc, with any questions you might have. Thank you for reading so far and I hope I meet you in codebender soon! THANKS !!! Muchas Gracias por el Driver de Windows Funciona Bien, Gracias THANKS !!! Valeu pela socialização dos drives. Resolveu o meu problema com o meu UNO R3, agora esta funcionado tudo ok. Yet another thankyou for posting this information. This was incredibly useful, thank you very much! After which, you'll have to reinstall the drivers. This is because the naming convention will feature spaces, which will throw off the Arduino IDE interface, which doesn't know how to parse spaces in the mount name. I just got mine up and running. Full compatibility. Thanks man, saved my day ! Not working with EL CAPITAN ??? Thank you very much, this saved me from a breakdown. THANK YOU VERY MUCH!!!!!!! It works! Thanks brother, this thing has been giving me fits for 3 days now. Now the sketches load just fine. I am building a Arduino based automated starter for my generator and as I added some new hardware all of a sudden no sketches would load. Thank you! Thank you for your information. It help me a lot! Allsbobet 1 DOMPET DEPOSITO Untuk Semua Permainan !! Proses Deposit / Withdraw gak pake ribet, proses CEPAT !! If you wish to make sure your flash drive remains in-tact for as long as possible, it's advised that you purchase a system that's encased in anodised aluminium or an equivalent metallic coating. allesmakkelijk.nl offers some in-depth insights on Neem contact op. This post is worth for me. Thank you for sharing.